Gardening in dry soil with Diane Watkin in Backyard Biodynamics, a vegetable cross to grow in Vegetable Heroes. Five senses-today’s it’s touch in Design Elements and fragrant flowers in Talking Flowers with floral therapist Mercedes Sarmini. Is your soil healthy and full of earthworms or is it dry, degraded with no sign of anything living? 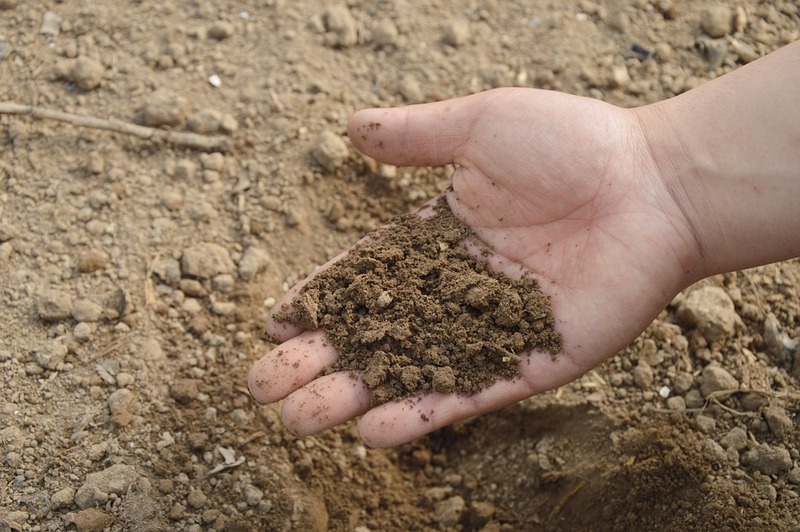 When you pick up a handful of soil, what colour is it and does it run through your fingers like sand, or stay in a big clump? All of these things are important to know but here are some ideas to help improve your dry soil so your plants will be more vigorous and healthy. That was Diane Watkin, co-founder of Biodynamics Sydney. 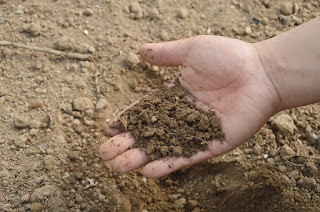 Neglected soil, degraded soil, sandy soil, all of these possibilities add up to "lifeless dirt." It's no good putting in a bagful of earthworms because they will surely perish as there is no food for the worms. To encourage life back into your soil you need to add liquid in the form of compost eat, worm tea, seaweed tea or fish-head tea. Also you need to add organic matter in the form of organic or biodynamic compost. All these things will bring back the microbial life and encourage earthworms to return. For those gardeners not able to access bio-dynamic compost and any of the preparations Diane talked about, the second best alternative is to use organic compost, especially home-made compost and some sort of seaweed tea, weed tea, or similar. 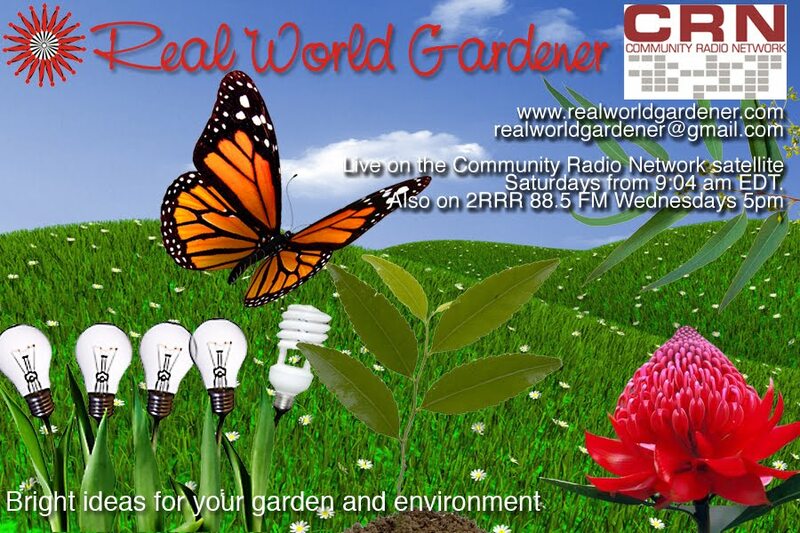 If you have any questions about improving your soil, either for me or for Diane, why not email realworldgardener@gmail.com or write in to 2RRR P.O. Box 644 Gladesville NSW 1675. What do you get when you cross two veggies that have an image problem? No, not a joke, but it could be. Do you get a novelty, a passing fad, or a truly hated vegetable? It could be any of these, you decide. And you thought there were no more new vegetables. So today’s veggie is Brukale. Neither had I until I was asked about it. A bit of research has revealed that it’s a fairly recent cross between Kale and Brussel sprouts. 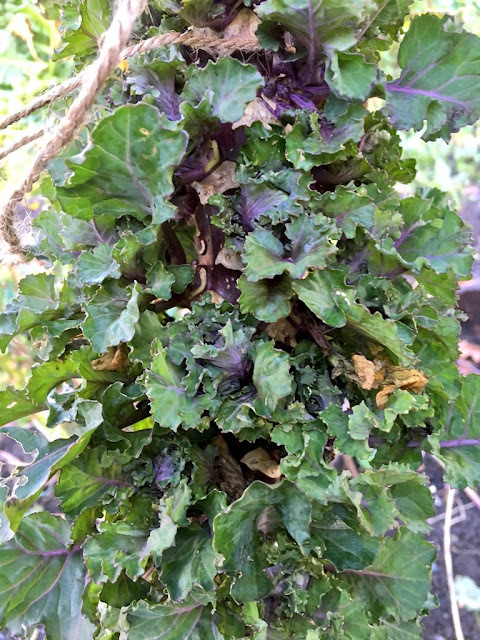 For all those gardeners that love to eat Kale, good for you, but for others who have grown it and decided it’s not for them because it’s just too tough, this may be of interest. Then there’s those gardeners that love Brussel sprouts, others that just can’t grow it well, and even others that just don’t like the stuff. Probably reminds them of overboiled cabbage. What is Brukale really like? Can you imagine a plant that’s crossed with Brussel sprouts and Kale? Think of the actual Brussel sprout plant. It grows to about one metre tall, with rounded blue-grey leaves that seem to make an umbrella at the top as well as growing along a thick stalk. Normally you would get tight buttons that look like tiny cabbages, up and down the stem. With Brukale, instead of those tight little buttons, you get a column of small, frilly, kale heads. However, I’m told that these smaller kale heads are actually much more tender and the centres are actually soft enough to add to a salad to eat raw. 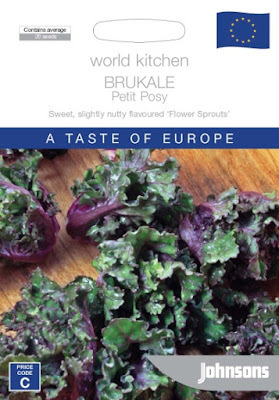 By the way, in England they’ve changed the name to Kalettes instead of using Brukale. You might be wondering is Brukale genetically modified? 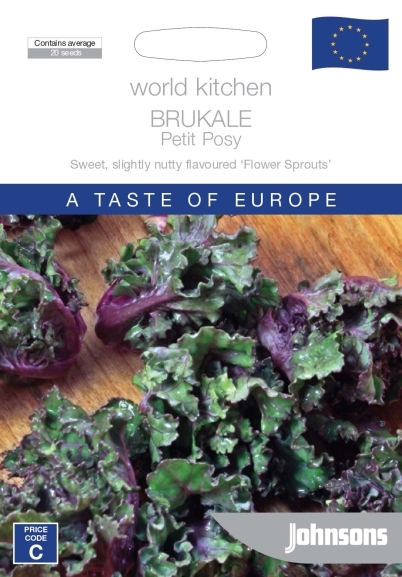 Brukale or Kalettes were developed by a British seed house (Tozer) following a 15 year breeding program. This process was entirely natural, using selective breeding and hybridisation only, so definitely no genetic modification. This growing information is supplied by Ross Geach of the Telegraph newspaper in the UK. Kalettes should be treated in a similar manner to traditional brassicas, grown in firm ground which is not too acidic. 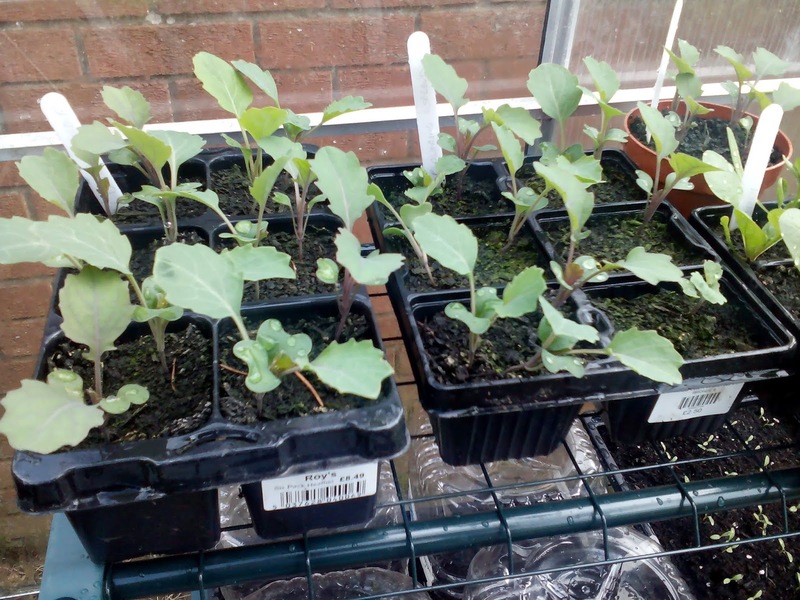 To grow, it’s best to sow the seed in cell trays, indoors in the middle of the September. Use a good quality seed raising mix and lightly cover the seeds. Water them well and don’t let them dry out. 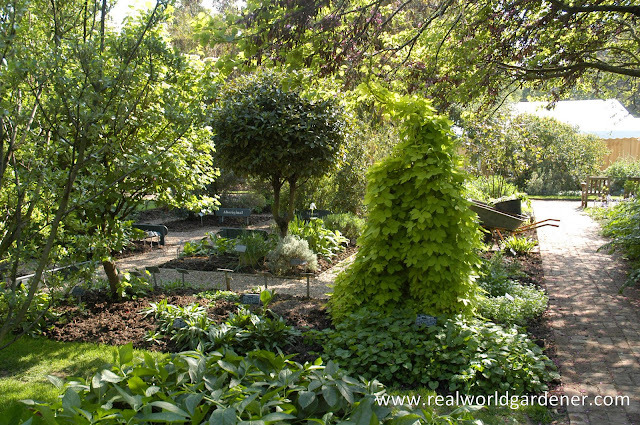 Prepare your growing area by digging deep and incorporating some good compost or well rotted manure. When your seedlings are ready to transplant, if you’re growing heaps, plant them ½ a metre apart with 60cm between rows. These plants do need a lot of space if you want a good crop of kallettes. The plants will gradually drop their leaves. These leaves are also edible, and can be used in the same way as a kale leaf. Once all the side leaves have fallen off you should see lots of perfectly formed Kalettes growing all the way up the stalk. Harvest them straight from the stalk by holding at the base with your finger and thumb, and then gently pulling them to one side so they split from the stalk. If you want to harvest the whole stalk I suggest using a saw to cut it off at the base because it’s very thick and strong. Crops grown in acidic soils will benefit from an application of lime or similar. Trays of Kalletes or Brukale. Kalettes are extremely winter-hardy, but may need staking to provide additional support during winter months. How to Cook with Kallettes or Brukale? Kalettes are a subtler tasting combination of the two great, traditional European flavours of kale and Brussels sprouts. Known in Australia as Brukale but overseas, it’s commonly called the 'Flower sprout'. Brukale is highly versatile, with a sweet, nutty flavour. They can be steamed, used in stir fries, roasted, grilled - or even eaten raw. Kale is actually near the top of the list in terms of nutritional value, Kale has heaps of antioxidants such as beta-carotene, large amounts of vitamins A, C and E, and heavy doses of calcium, potassium and Kale is particularly rich in iron. These days, many people live in high rises and so do their children. Days, weeks and months can go by when these high rise dwellers don’t make contact with any living plant. So instead of missing out on the nurturing effect of plants, why not be inspired to bring them into your life? Let’s find out about what, why and how. I'm talking with Chris Poulton, Sydney Convenor for the Australian Institute of Horticulture and an experienced horticultural lecturer and consultant. Get your kids involved with plants like Mimosa pudica, or nerve plant whether in a pot on the balcony or on your back doorstep or patio. Let them touch the plant and see how it reacts by closing up. Or if you’re an advanced gardener, perhaps a venus fly trap would suit your sunny windowsill in your house or apartment? There are numerous sensory plants that invite you to feel or just touch them. Feel the rough bark of Casuarinas or Birches, perhaps even an Ironbark Eucalypt. All of these sensations will awaken our sense of touch. Perfume adds atmosphere and a wonderful feeling of romance to any garden. The smell of any flower is never really just one single chemical compound. Flowers give off a complex mix of volatile organic chemicals, although not all of these will add to the aroma or perfume, a significant number will impact it to varying degrees. Star Jasmine, Tuberoses, Hyacinth, Daffodil, Roses, Carnations, Hydrangeas, Stephanotis, Honeysuckle. Violets: Their scent is primarily caused by the presence of compounds called ionones. Interesting fact: We become used to most persistent smells, our brain registers them as constants and phases them out. This is why you can get used to the smell of a perfume, so that you no longer notice it. TIP : Change your perfume every few days so that you can refresh your sense of smell. But for Violets something else is at play. The ionones in violets’ are different to every other flower because they are able to somehow bypass our sense of smell, binding to the receptors and temporarily desensitising them. As this shut-down is only temporary, the ionones can soon be detected again, and are registered as a new smell. Consequently, the scent of the violet appears to disappear — then reappear! No wonder Napolean chose violets as his favourite flower. My favourites: Frangipanis, Angel Trumpet, Stephanotis, Osmanthus, Gardenia, Cherry pie, Buddleia, native frangipani, Magnolia champaca. Some of these fill the garden with their scent, particularly at night, others you have to sniff to get the full scent.